Thirty years of experience in your industry has given us an excellent understanding of your environment. We are anxious to become involved in your plans to enhance your software systems. Case studies of our Managing General Agents reveal they outsourced their finance business or they had their own or a competitive software package. 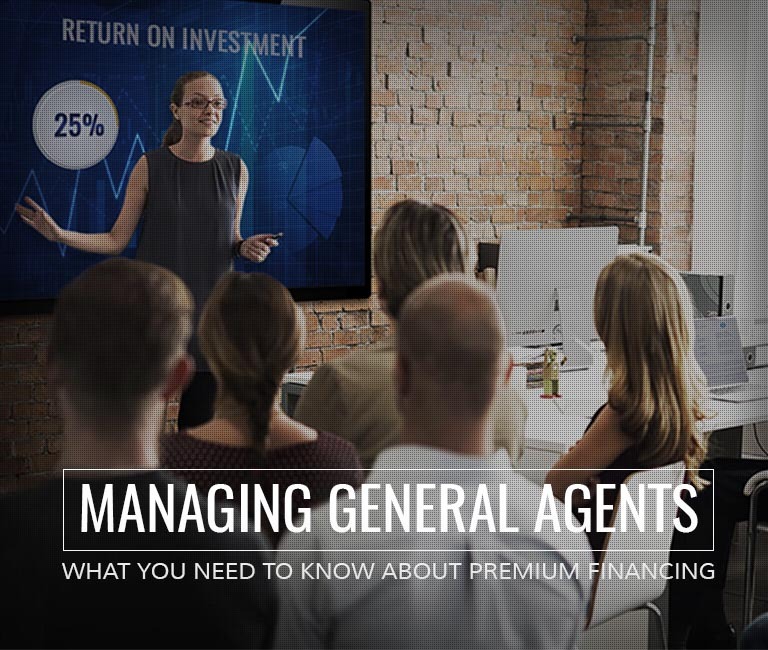 Regardless of the situation, we have successfully transitioned Managing General Agents to our FinanceMaster® software system. Our web-based point-of-sale agent portal is used by thousands of agents throughout North America. FinanceMaster® is robust, comprehensive and open 24/7/365. Yet it offers a short learning curve. Your agents will have instant access to their accounts simply by logging into your web site. Furthermore, while at your web site, they can post payments, run production and cancellation reports and create new quotes or retrieve existing quotes, including the printing of plain paper finance agreements and coupon books or invoices. We understand that you want seamless integration with your rating software system(s). You may want to transparently transition from your site to ours without requiring the user to login again. We have been doing that for years using our proprietary FinanceMaster® web services that communicate with your rating software using an XML data packet. Please ask us for details and a demonstration. We will meet or exceed your expectations. We will save you money and time. Other features of FinanceMaster® that will decrease your labor costs include the import of new accounts and/or payments. Please give us the opportunity to discuss your present situation with you. How can we interact with your other Managing General Agent software? How can we help build agent loyalty?